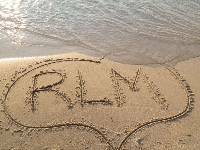 Find Romantic Lake Michigan Beaches. Lake Michigan Beaches ... Romantic! The best Michigan beaches are often the one that fit your mood. You can turn Lake Michigan beaches into the perfect romantic day trip or getaway. With many having inexpensive or no entrance fees they make for an affordable fun time together. This scenic coastline is as awe inspiring as any in the world. Charming Michigan beach towns, historic lighthouses and majestic dunes are what makes it the perfect honeymoon, vacation, or romantic getaway destination. You'll find something romantically unique about each one. Sometimes it is just the feeling you get walking along the shore as the waves roll over your feet. The sun, a gentle cooling breeze, or watching sailboats from a dune all add magic to the moment. 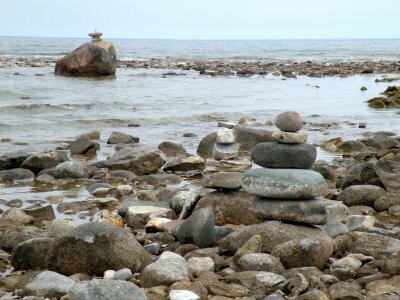 You will find more rugged beaches along the northern coast and along the northern Lake Michigan islands. You get a sense of "time stands still" ... they are as they were thousands of years ago. Rugged, natural, romantic beauty at its finest. Don't worry, there are miles of wonderful sandy beaches to play on too. If you have read my about me page you understand how special the beaches on Lake Michigan are to me. Sue and I visit them as often as we can. We usually have Millie (our Lab) with us. I can always manage to let her get a swim in. Nothing like the smell of wet dog on the ride home. 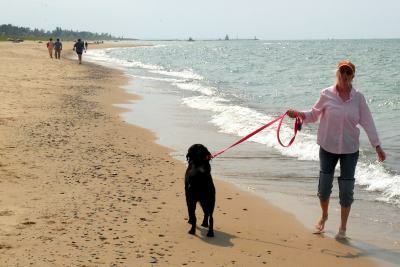 :) Millie is a an avid Michigan beach fan and gets to enjoy the many Michigan dog beaches! 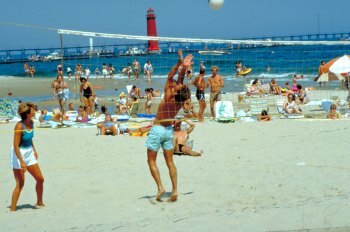 Tell Us about your favorite Lake Michigan Beach. Depending on our mood we may visit one of the more popular crowded beaches (people watching), or one of the more isolated beaches (alone time). So many choices! Whatever your mood, take the time and savor over 350 miles of white, sandy pure heaven. Click here for our favorite beaches in Michigan. Our Great Lakes waterways, beaches and dunes are constantly under attack. Invasive species and developers are always trying to take them away from us. 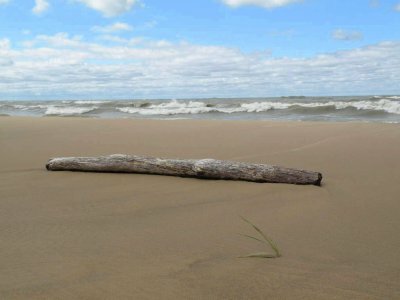 Here are some great organizations dedicated to protecting the Lake Michigan sand dunes areas. To visit a comprehensive website with lots of information for everyone who loves the beach, go to www.tips-for-the-beach.com . You'll find information on beach activities and safety, destinations and events at the beach along with suggestions for unique products for the beach lover. From Lake Michigan Beaches back to Romantic Lake Michigan home.